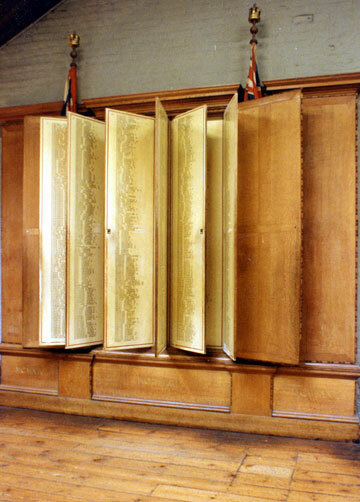 This Roll of Honour lists 3,500 men from Norwich who died during the War. Like the City War Memorial, it was designed by Sir Edwin Lutyens. The open-out panels list the name and unit of each man, the database in front gives further information on the individuals.